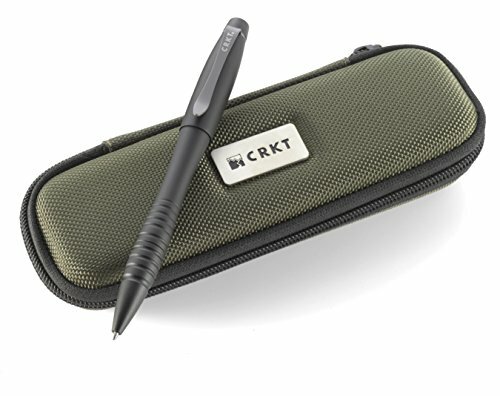 Most people will carry a pen with them when traveling to and from work or simply out on your daily errands. They make life easier and you know how it usually goes…when you need a pen you can’t find one. Did you know that pens are also a great self-defense weapon using in a number of martial arts such as Krav Maga? However, many pens are shoddy pieces of plastic that don’t have much use besides writing (if they can do that at all). Luckily, tactical pens exist, and they’re a perfect multipurpose tool for anyone looking for multi-function and easy to conceal items for those “just in case” moments. So What Is a Tactical Pen? Well, it’s a pen first and foremost, but the “tactical” part of the name comes from the fact that you can use the pen to defend yourself! That’s right, these are the types of pens that you’d usually see in a James Bond movie. They also go by various other names such as a “survival pen”, “combat pen” or a “tac pen”. They are given their name as they are both discreet and extremely useful IF you have the right tool and know how to use it effectively. And while they don’t have a hand grenade feature, tactical pens can still pack a punch. Like normal pens, tactical pens have varying features, qualities, colors, and prices. To help you find the right one for you, we’ve assembled our list of the best tactical pens on the market right now. Each pen is thoroughly reviewed and comes with a list of specs for easy comparison. In addition, a short guide can be found at the end of the list that explains what to look for when buying a tactical pen. These are solid pens, but they don’t have all the features of the ones you’ll see in higher price ranges. In this range, expect to see aluminum bodies (with a few exceptions), and ink cartridges that vary from common to pressurized ballpoints. Many of these pens are commonly used by the police and military due to their usefulness and low cost. The “Pocket Shark” is one of the cheapest pens on this list, and that might be because it’s not really a pen at all. In fact, it’s more like a permanent marker, and it’s purposely designed to look like one. However, at more than half a foot in length, the disguise will probably only fool someone who has never seen a permanent marker before. Even so, this is an excellent self-defense tool. It can easily be used as a Yawara stick, a weapon in Japanese martial arts. Though made of plastic, the walls of the body are four times thicker than a normal marker’s, making it very difficult to break. Also, the cap screws on so it won’t fly off when being used for self-defense. In fact, it’s so tough that it can be used to break cinderblocks and pry open doors! 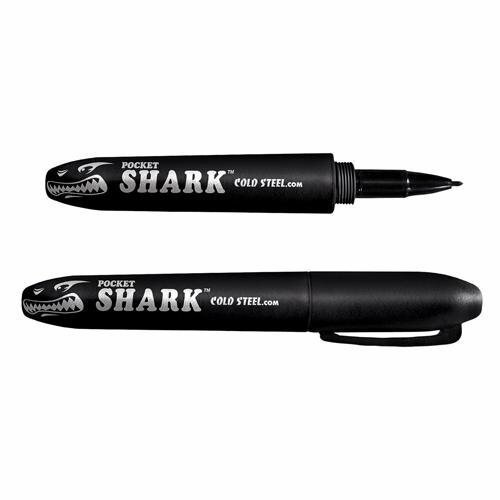 If you want a great value self-defense tool more than a useable pen, then you should consider the “Pocket Shark”, if you don’t mind the size of course! If you want the ability to break glass, perhaps for an auto accident or a building fire? If so, this is the pen for you! This pen comes with a carbide tip glass breaker, which is perfect for emergency situations, car accidents in particular. This is also a great looking pen. It comes in a dark gray color that fits perfectly with the pointed design of the body, which makes for an extremely intimidating pen. Warning: when used as a glass breaker, the finish will come off the tip. The pen itself is a ballpoint and is compatible with almost any cartridge. The cartridge doesn’t pop out; rather, it twists, meaning there’s no cap or spring mechanism to worry about. We consider this military pen one of the best values on the market, and it certainly holds up to scrutiny. If you’re looking to see what the fuss about tactical pens is about, this is a great piece that won’t burn a hole in your wallet! The “Archangel” was designed to be used by police and military personnel, so you can be certain that it will hold up in tough conditions. It works great as a Kubaton stick (a Japanese self-defense tool), meaning you can easily control a situation if it degrades into hand-to-hand combat. Made of high-density plastic, breakage shouldn’t be an issue with this pen. Even if it does break, it comes with a lifetime replacement guarantee, so don’t worry, you’ll always have a working pen around. The cartridge is pressurized ink, providing an easy and comfortable writing experience, and replacements are available from ProMag. This pen looks like a sleek, black obelisk, which looks good in the office or outdoors. The cap screws on, in order to stay in place when used for defense, and the clip is made of and fastened with stainless steel. 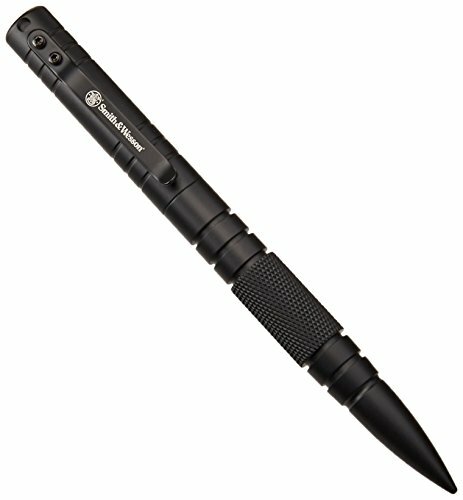 A sleek self-defense tool, the ProMag “Archangel” is a great tactical pen for any environment or budget. This pen looks like a bullet, thanks to the incredibly cool design by the renowned German pen craftsmen at Schrade. The look is completed by the matte grey finish of the aircraft aluminum. This pen doesn’t just look cool, though; it also writes amazingly well. Schrade makes their pens slightly thicker than normal, which helps to reduce fatigue when writing often. However, the pen only comes with a normal Parker-style cartridge; to get the best writing experience possible with this pen, we’d recommend switching to a Fisher space-pen or gel cartridge as soon as possible. The cap is a screw-on, screw-off model, which makes defense easier. It doesn’t fit on the back of the pen, but that can actually be advantageous: if someone asks to “borrow” your pen (which can happen very often), keep the cap in your hand. That way, you’ll always remember to get your pen back! The grip is carved into the aluminum and adds to the intimidating look of the pen. If you want a bit of dangerous Deutschland in your pocket, this is the perfect pen for you. In this range, you can expect a noticeable increase in quality, as well as many more cool features that you can’t find on cheaper pens. Aluminum, whether aircraft or anodized, is the usual material, but there are a few stainless steel pens to keep an eye out for. Also, the Cadillac of ink cartridges, the Fisher space-pen, is quite common with pens in this range. If you’re willing to spend a little more money to get a lot more quality, this is the range for you. It’s not very often that you see a pen that’s made by a gun manufacturer, but that’s the case here! Smith and Wesson, the legendary American gunmakers, decided to try their hand at making a tactical pen, and it’s a real beaut. Machined from aircraft aluminum, it can double as a rock-solid Kubaton stick, perfect for taking out an assailant with a painful jab to a pressure point. Don’t worry, though, the point isn’t sharp enough to puncture the skin. This pen was designed to be used by military or police personnel, and it certainly looks the part. The sleek black finish fits in perfectly with the overall look of the pen and adds to the intimidation factor. What’s even better, is that the point (not the writing end) can be used as a stylus for a touchscreen device! The clip is meant to be used as a lanyard, and ideally, would be attached to your keys. After all, what’s the point of having a defensive tool if you don’t have it with you in a life-threatening situation? One con is the cartridge the pen ships with; a Fisher space-pen or gel cartridge would greatly improve the writing quality of this pen. Luckily, those cartridges fit in this pen, and they’re very easy to find online. Whilst the last pen on this list was made by a gun manufacturer, this pen somehow goes even more into gun territory, thanks to the bolt-action mechanism that extends the pen tip. While it might seem like a gimmick, it actually works great and is incredibly fun to play with when bored in an office environment. One problem you might have with this pen is the stiffness of the spring, as it can be too strong for some people’s liking. However, it’s easily replaceable if the need arises. The mechanism looks cool as well, fitting in beautifully with the rest of the pen. All the parts of the pen fit together beautifully, with no noticeable seams on any part of the body. It writes great as well, which is always nice. Unfortunately, it can’t take Fisher space-pen refills, but there are other options, like most LAMY brand cartridges, which will work great with this pen. If you’re looking for a pen that’s got novelty, quality, and craftsmanship in one affordable package, here you go. Self-defense seekers, look no further! This pen was designed by award-winning knife designer Allen Elishewitz, and features 3 different self-defense options. The first is the impact crown on the cap of the pen, which can be used against an assailant’s forehead to incapacitate them. The second is the pointed end of the pen, which can be thrust behind the ears to attack a disabling pressure point. The third is the (potentially) lethally sharp pen point, which can easily puncture the skin of an assailant who keeps attacking. Of course, the pen can write as well, and this one comes with the Fisher space-pen cartridge, the best on the market! It can write in any temperature, underwater, and at any angle, even upside-down! The pen is very weighty, which provides an extra force when utilizing its self-defense capabilities. In addition, the cap is a screw-on, which keeps it locked in place in all situations. The body is made of anodized aluminum and has perfectly positioned grooves that provide excellent grip, making the pen a joy to write with. The Gerber “Impromptu” is a steel pen with a steal of a price! The machined steel body comes with a black finish, and has a rugged, intimidating look that screams “don’t mess with me”. It ships with a Rite in the Rain ink cartridge, allowing you to write in any weather, and on nearly any material. There’s no cap to worry about because the tip of this pen deploys with a push-button mechanism. In addition, the tip is equipped with a glass-breaker, perfect for an emergency situation that requires a window to be broken (car accident). Even if you don’t need to break a window, the glass-breaker can still be used as a very effective self-defense weapon. It is quite heavy, being made of steel, so it may take some getting used to when writing with it. However, it writes extremely well, and with standard pen dimensions, it won’t feel weird in your hand once you get adjusted to the weight. What can you expect from a high-end tactical pen? Well, you’ll begin to see designs in this range that are very similar to mid-range pens, the difference usually being that the high-end pens are made of higher quality material. If money’s no object, and you want one of the highest quality tactical pens, this is the range for you. 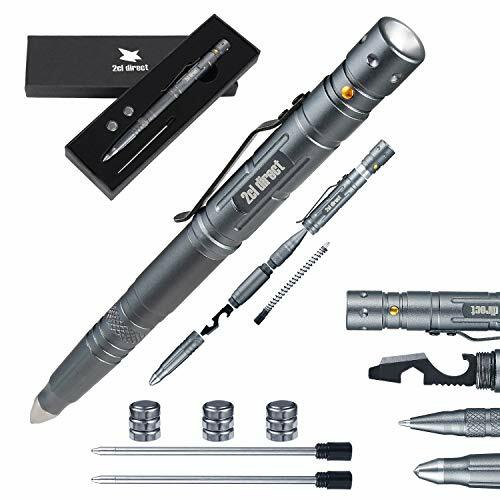 Titanium is one of the strongest metals in the world, and that’s what this incredibly tough tactical pen is made of. It’s quite uncommon to see a titanium tactical pen, but that makes this pen stand out from the crowd even more. Like the other Boker model on this list, it comes with a bolt-action mechanism to deploy the pen tip, which is tons of fun to play with. Though it might seem like a gimmick, it actually works surprisingly well, although you might want to replace the spring, since it can be too strong for some people’s liking. One problem with this pen is the terrible ink cartridge that it ships with, which often runs dry for no apparent reason, but will suddenly begin working again after a few hours. However, it’s easily replaceable; any LAMY brand cartridge will fit perfectly. Designed by a pioneer in the tactical pen industry, industrial engineer Paul Kim, this pen is a work of art. It seriously looks like an alien sculpture, with curving grooves and ridges that give it an uncanny ambiance. Besides being an artistic statement, though, this pen is a seriously tough defense weapon. 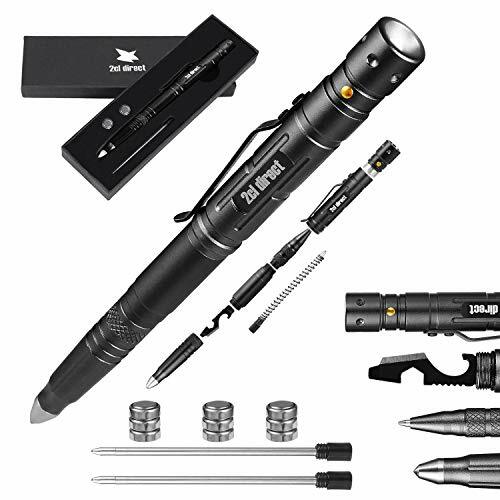 The body is crafted from aircraft aluminum, making this pen light and easy to handle, while still having the strength you need in a defense situation. The main defense mechanism is a blunt point at the end of the pen, which can be covered by the cap when writing. The cap itself is a screw-on, screw-off model that works great in any self-defense situation since it won’t come off if suddenly subjected to G-forces. Another great thing about this pen is that it comes with a Fisher space-pen cartridge. That means you can write with this pen in any weather, temperature, and at any angle. For some reason, it’ll even write at 250 degrees Fahrenheit, so if you’re planning on boiling yourself, worry not! A true high-end pen, the PK-TPE-BK will not disappoint. That means you can write with this pen in any weather, temperature, and at any angle. For some reason, it’ll even write at 250 degrees Fahrenheit, so if you’re planning on boiling yourself, worry not! A true high-end pen, the PK-TPE-BK will not disappoint. High-Impact Plastic: Yes, it’s plastic, but it can definitely take a beating. However, when it comes to strength, it certainly does not compare to aluminum. This is only seen on cheap tactical pens. Stainless Steel: If you’re looking for a heavier pen, stainless steel will give you that and more. Even tougher than the aluminum, this is serious material for a serious pen. Weight: The weight of the pen is quite important. Some people prefer a weighty pen, but most tactical pens are designed to be lightweight. Both have their advantages; weighty pens feel more sturdy and provide a heavier strike. However, they are often less easy to wield than their lighter counterparts. In this case, it really depends on your personal preference and defense style. 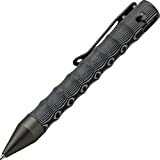 Concealment: Tactical pens have the advantage of looking like an ordinary pen at first glance, which gives you the element of surprise if you need to use it for self-defense. Some pens are purposely designed to look like an ordinary writing utensil (Sharpie, BIC) while others are less subtle (Smith & Wesson, we’re looking at you). This is another category that really depends on your personal preference. Parker-style ballpoint: Used in about 90% of all ballpoint pens, this is more common in cheaper tactical pens, since it’s not the most comfortable to write with, and doesn’t hold up very well in extreme conditions. Still, it can write, and it’s very easy (and cheap) to replace if it runs out of ink. Parker-style gel ballpoint: This cartridge is similar to the previous one, but writes with gel ink, which flows much smoother, giving a more comfortable writing experience. The cartridge empties faster than one with paste ink, but is very easy to replace. Fischer Space Pen: This is an awesome cartridge that works in any environment, even space! Thanks to the cartridge being pressurized, you can write on most surfaces, at any angle, and even in temperatures from -30 to 250 degrees Fahrenheit (for some reason)! These aren’t the only types of cartridges in use, but these are the most common. Many companies make similar cartridges under different names, which is something to keep in mind. Though uncommon, there are some tactical fountain pens, which have a very different style of ink dispersal. A Tactile Pen can come with some great features and one of those features is the sharp, pointed tips. Almost all of them use this feature for good use of offense if ever you come in contact with an attacker. A use when defending yourself with a tactical pen is stabbing. Let’s say someone is coming toward you and you believe that your arm span is longer than theirs. This use can be very effective for you. When stabbing using the pen, try to aim for spots that can make the attacker immobilized. The eyes are a great place to aim for as it will blind the assailant and cause them to become disabled for a period of time for you to escape. The Adam’s apple can also be a pivotal location to puncture because if you can’t breathe how are you going to fight? Tip: Just because it has the name “pen” does not mean every pen can do these things. Trying to break a glass window with a blue ball-point pen will not work. Using the device as a knife can also be a good way to protect you. If you tilt or turn the pen upside down and jab your attacker in a soft tissue area, you can hurt/wound them for you to run. Be sure to only wound them and try not to aim for areas that can cause long term issues. Another good method to use is the swiping/slashing method. Even though the pen does not possess a blade to do major damage, the sharp tip on the top of the pen can cause some sort of damage. Swing the tip of the pen in a striking motion. When you’re going down, put more force into it to make it more powerful. Tip: One sharp poke may not disable the attacker. Use multiple strikes as a better approach to ensure victory. This is a tactic that most law enforcement uses because it can take down an enemy in seconds. You can access certain pressure points but simply press or pinching on them. If you know and understand your attacker’s weak spots you will have an advantage. If they limp, then a sensitive pressure point would be in the legs. Once you have realized that you have the upper hand, you must plan your escape. The quicker, the better. First, figure out what is the best way to immobilize the target. Once you have it in your mind, execute the plan and follow through. When the attacker is immobilized make your escape. This is where the tactical pen gets, even more, respect. It comes with a glass breaker. Let’s say you can not get your car unlocked fast enough, the pen can break the window of the vehicle so that you can easily open the doors with the button and get inside the car. Many of the tactical pens come with a DNA collector. The end cap of the pen can be used to collect a blood sample of the attacker. So, if by any mean, you feel like they may return or you want to find out who they are, you can go to the police and hopefully get some answers. 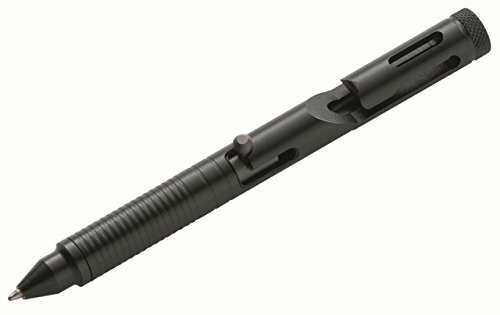 Which Tactical Pen Should I Buy? Now that you have the basics of how to protect yourself using the pen, it is time to buy one. But which pen is right for you? Here is what you should look for when choosing a tactical pen. You do not want a dull pen. You want a pen that has a nice and sharp tip for some of the self-defensive uses. A pen that you can hold with a firm grip is essential. We would not want the pen to slip out of our hands in the middle of an altercation. Not everyone who sells tactical pens is good at making them. The quality of the pen will determine if the point is sharp, the weight is correct, and even the amount of force needed to wield is good enough for you. This is an added bonus based on your preference. Although I do believe that all of the tactical pens come with a glass breaker feature that goes above and beyond expectations some may not. Just research and see if the features that it does support are things that you are interested in. Many law enforcement units use tactical pens in their day to day duty to protect them. Sure, they have more than that and so should you. Having a tactical pen is a great tool for emergencies when you do not have any other type of equipment to defend yourself with. Self-defense is basically sticking up for yourself and that is what you have to do sometimes. So, use these tips on how to use a tactical pen for self-defense and apply them to your life today.